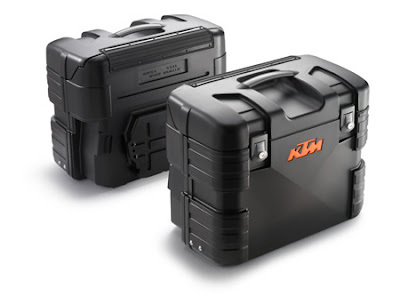 KTMtwins.com KTM Motorcycle and Product News: KTM 950/990 Adventure Black Sidebags in Stock now! KTM 950/990 Adventure Black Sidebags in Stock now! We just received our shipment of the Black Gobi Side Bags. They are now in stock and ready to ship. If you have been waiting for yours but not having much luck with your local shop then click and confirm your order today. Quantity is limited so, pick yours up now!